The Duplex inaugurated the third generation of TGV trainsets, and was specially designed to increase capacity on lines with saturated traffic. With two seating levels and a seating capacity of 545 passengers, the Duplex maximizes the number of passengers carried in one trainset. While the TGV Duplex started as a small component of the TGV fleet, it is poised to become the work horse of the TGV fleet as orders for additional trainsets accumulate. When a high speed line reaches its saturation limit, there are several options available to increase capacity. Perhaps the most obvious way is to reduce train headways. To achieve this, increasingly complex signalling systems and high performance brakes (to reduce braking distance) are required. While these avenues have already been pursued to some extent (headways are down to three minutes on some TGV lines), the technical difficulties of continually improving signalling and braking make other solutions to the problem more attractive. The TGV Sud-Est line from Paris to Lyon is the busiest high speed line in France (perhaps in the world), and since its opening in 1981 it has rapidly reached capacity. The mitigation of this problem was to run pairs of trainsets in MU (multiple unit) configuration, but even this has not provided enough capacity, besides the additional requirement for very long station platforms. If you can't make a train longer or wider, then the only way is to make it higher; hence the TGV Duplex, with passenger seating on two levels, and 45% more passenger capacity than an equivalent single level TGV. The Duplex feasability study was completed in 1987. In 1988, a full-scale mockup was built to gauge customer reactions to the bilevel concept, traditionally associated with commuter rail rather than with high speed rail. A TGV Sud-Est trailer was tested in revenue service with the inside furnished to simulate the lower floor of a bilevel arrangement, and later that year another TGV Sud-Est was modified to study the dynamic behavior of a train with a higher center of gravity. 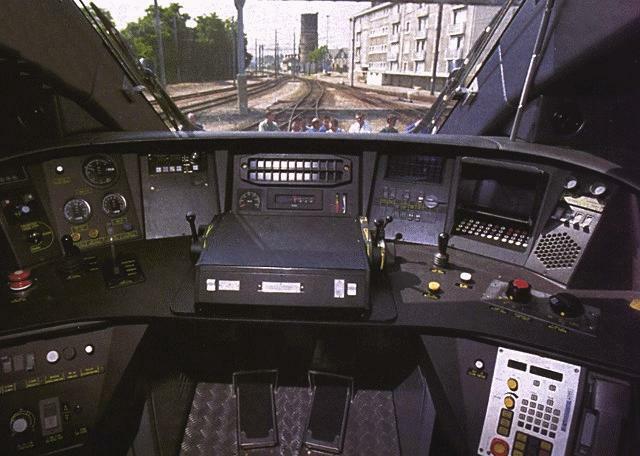 Discussions with GEC-Alsthom began soon after, and in July 1990 the company won the contract to build the "TGV-2N", as it was then known. The details of the contract were not hammered out until early 1991, at which point the official order was made. Since then, technological hurdles have been overcome in a four year process that led to the first tests of a bilevel trainset, in November 1994. Soon after their first run, the first rake of 8 trailers was tested at 290 km/h (180 mph) on the Sud-Est line. The trainset was powered by TGV Réseau power cars at the time, while the Duplex power cars were still undergoing development. The first Duplex power car was mated to the bilevel trailers on 21 June 1995. In this comparison, "power" refers to installed power, not all of which is used when operating. The strict requirement of a 17-ton axle load limit made it imperative to cut down on weight, wherever possible. Extruded aluminum construction (such as used on the German ICE train) made possible a 20% reduction in the weight of the structure. The nose of the power units and the gap between trailers were improved such that a Duplex train at cruise speed of 300 km/h (186 mph) experiences only 4% more drag than a single level TGV. The nose, the first significant departure from Cooper's original design, was styled by industrial designer Roger Tallon, as was the rest of the trainset. Crush zones and rigid passenger compartments ensure maximum safety in the event of a collision. The power units' frame is designed to take a (steady-state) 500 metric ton (force) frontal load, and features structural fuses to absorb impact energy. The Faiveley CX used on the Duplex has a pneumatically actuated active control system. Two small gas cylinders in the wiper armature can tune the stiffness of the pantograph's upper stage, to optimize contact at any speed. 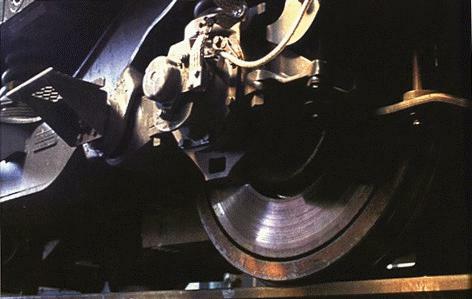 Earlier TGV's (including Eurostar) used disk brakes only on unpowered axles. Weight gains on the Duplex power units allowed the installation of disk brakes directly on the wheels of powered axles (so-called "cheek disks"), instead of using the traditional tread brakes. This does not greatly improve braking performance, but it leaves the wheel tread smooth and considerably reduces rolling noise. The cooling fans in TGV power units produce the most noticeable sound (a loud hum) when the train is in a station. The fans, located in the roof of the unit, have been redesigned to be quieter. Traction: 8 3-phase synchronous AC traction motors, 8800 kW (12000 hp) under 25kV supply. Special Notes: Developed to relieve congestion on LGV Sud-Est. Scale Paper Model: Print, cut out and assemble a 1/140 scale model which you can get here. ...in addition to the ones referred to above. The Duplex cockpit: just like Eurostar, the instument desk is centered. This makes the Duplex equally well suited to left- and right-hand running, as well as freeing up extra space for signalling displays of many different types. Note the absence of the traditional French throttle wheel, replaced by levers. The two windshield wipers were designed for high speeds. Photo dated 21 June 1995. The cheek disk on one of the Duplex power car's wheels.